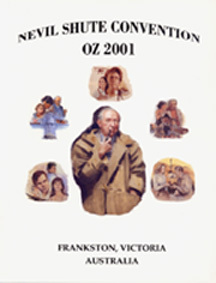 The following is a summary report of The Nevil Shute Convention - OZ2001. It is intended for foundation records, as a report to convention participants and other Shutists everywhere, and for use in planning future conventions. In the interest of brevity, I will summarize the preconvention work conducted prior to March 11, 2001, when Zia and I arrived in Frankston to begin on-site final preparations. However, as this document may be used for planning future conventions, a limited amount of detail is in order. There were 42 full time paid participants, another eight part time paid participants, and as many as 20 invited guests, depending on the function. The average attendance at seminars and excursions was around 40. The maximum number for the cocktail hours and the banquet was around 70. There were six countries represented at the convention; Australia, Canada, Ireland, Oman, the UK and the US. The convention took in $12,659 in entry fees and meal tickets. Total expenditures were $10,710, leaving an initial 'profit' of around $1,950. Since there was never any intention to make a profit, some of the excess funds were applied to photo albums produced by Richard Michalak. Participants received a nice souvenir of the convention without further costs. That still left around $1,500 to go into the general Foundation/library fund. There were several reasons for the unintended profit. There were approximately 25% more participants than the minimum planned for, and each additional participant provided more money to cover shared costs such as the convention facilities. Fewer participants than anticipated used the bus transportation; meal costs for the two excursions were less than anticipated; and very few of the expected add-on expenses materialized. Had we planned a bit better, we could have saved each participant around $40 on entry fees. As it turned out, the library picked up another year's operating expenses. The only significant problem encountered at the convention was with audio taping the talks and panels. I will accept full blame for that. Because we were only taping one session at a time, and Zia and I were going to attend all sessions, I thought that we could handle the taping. That was a mistake. We did not have time to become sufficiently familiar with the equipment, and we were frequently involved in other requirements during the taping. As a result, although everything was taped, there are some major gaps, and the overall quality is not that good. For those reasons, we elected not to make a convention tape package for sale. However, individual tape copies will be provided on request free of charge. Mea culpa! Planning for the convention might be said to have begun on January 17, 1999, the 100th birthday of Nevil Shute Norway, and the closing day of the Nevil Shute Centennial Celebration. We had all had so much fun at the first affair that, instead of announcing that the convention was over, we announced a two year intermission, with the next session to be held in Australia in 2001. Immediately thereafter, several participants approached me with assurances that they would attend the second session, and with one even offering to write a check on the spot for his entry fee! For the next year, not too much direct effort was expended on plans for OZ2001. However, there were a number of ancillary activities that served to support the convention. Perhaps the most important of these activities were the incorporation of the Nevil Shute Norway Foundation, the setting up of a corporate checking account, and the institution of financial management practices and records. In January, 2000, feeling that things had been put off as long as possible, we began preparations for OZ2001 by sending out our first announcement, including requests for comments, suggestions, and provisional commitments for attendance. In that regard, it is important to realize that there were several interrelated questions to be answered. First, and this may seem heretical, we had to decide whether or not we were going to have the convention at all. In order to make that decision, we had to produce a provisional budget; set an attendance fee; and predict the minimum number of attendees required to break even. The interrelatedness of these items is obvious. After several iterations, we decided on a one week program with a budget of approximately $12,000 US, supported by a minimum of 30 participants paying $400 each. Any one of these numbers could have been doubled or halved, with concomitant changes in the other two. However, this seemed to be a good place to start. If we could get reasonable assurances that we would have at least 30 participants willing to pay $400 each, we could make a go of it. If not, we would be wise to call the whole thing off. When the initial response was favorable, we announced that OZ2001 would be held, and began seeking input on the many questions that had to be decided in order to make it a reality. This process is central to planning a convention of this nature. You start with a number of assumptions and tentative plans, and leave them all open to change as planning progresses. For example, the initial concept was to hold a one week convention, to have it in January, to coincide with Nevil's birthday, and to hold it in Sydney. Based on problems that arose, and on participant feedback, the only one of these assumptions that remained valid was the length of the convention, and even that was debated. Because of weather considerations, and the fact that January is vacation time for most of Australia, we slipped the date to March. Based on the idea that Nevil didn't really like Sydney, and much preferred Melbourne, we decided to change the venue to that area. Further, because Nevil and his family actually lived well outside of Melbourne, we decided to change the location to Frankston, nearer the Norway home in Langwarrin. At each turn, we posed the questions and likely alternative answers to potential participants, and were guided by their preferences. The same process was used to develop the program. As the program solidified, participant numbers grew, and cost estimates became more accurate, we were able to reduce the entry fee to $300 per person, and still be reasonably confident of breaking even. As with the Centennial, there was never an intent to make a profit on OZ2001. We just didn't want to lose a lot either! One of the real difficulties involved in planning the convention was trying to do so from the US, when the convention was to be in Australia. It was essential that we obtain onsite information and assistance. This came in two forms. First, we were able to contact several Shutists in the Mornington Peninsula area who could provide valuable information. Second, Derek Hill, a friend and fellow Shutist from the UK who had attended the Centennial, was making a trip to Australia to conduct business and to visit his daughter. He generously offered to go to the Frankston area, initiate contact with the local Shutists, and conduct a site reconnaissance. His report, and his liaison with the local Shutists, were the real foundations upon which future planning rested. After a good deal of further correspondence, I made a planning trip to Frankston in November 2000 and met with Colin Ackehurst and Nancy Anderson, two Aussie Shutists who had previously met with Derek and who had agreed to take on the majority of responsibilities for on-site convention preparation. William Laing, a dedicated Shutist from Sydney who had attended the Centennial, also joined us for the planning visit. During that week, we opened a bank account for the convention; selected a hotel and signed a contract for convention facilities there; selected a bus company and arranged transportation for the convention; selected an audio visual support company and arranged for AV support; located an office supply company for the various printing and copying requirements involved; roughed out an outline of convention activities; visited various sites and selected venues for excursions; and assigned responsibilities for all coordination and preparation prior to my return in March. It goes without saying that, from that point on, the majority of the on-site work fell on Colin and Nancy. Shortly after Zia and I returned on March 11, with only a week in which to accomplish all final planning and coordination, we met with Colin and Nancy to go over progress and problems. To be brief, the score was progress: 99%, Problems: almost nonexistent. Colin had already put together the entire Tuesday excursion to the Dandenongs (with a little help from Nancy on menu selection and volunteers), and Nancy had completed arrangements for the Thursday excursion to the Norway property and home, the Davies Bay Yacht Club where Nevil sailed and was an active member, a wonderful restaurant for lunch with wine and trimmings, and St. Thomas' Church in Langwarrin, the construction of which was largely funded by a donation from Nevil Shute. Colin had also arranged for a comprehensive book display and sale/exchange, and had coordinated with the Melbourne Society for Model and Experimental Engineers for a display of model engineering. Nancy had also arranged for full time receptionists for the duration of the convention, as well as volunteers to help with food preparation and service during the excursions. In short, by the time Zia and I arrived, most of the work was done. We spent the week in final preparations, getting printing and duplication accomplished, putting together schedules, folders and rosters, briefing volunteers, arranging audio visual support and bus transportation, and accomplishing all the myriad details that go into making a convention run smoothly. At every turn, Colin and Nancy were there to help. On Saturday, the day before the convention officially opened, Heather Mayfield arrived and was kind enough to take Colin, his wife Neena, Zia and me to a very good dinner at the Boathouse, a local seafood restaurant where the food made me ashamed of all the negative comments I've previously made about Australian cooking. Needless to say, it was great to see Heather again. Sunday morning, bright and early, we set up the reception and display areas. Nancy's volunteers were there and were a great help from start to finish in keeping an eye on things and in handling administrative details. Nancy also supplied a set of very nice posters made from blowups of book jackets from all of Nevil's books. Colin put together an impressive book display. David Simpson, the past Secretary of the Melbourne Society for Model and Experimental Engineers, arranged an interesting display of original models a la 'Trustee from The Toolroom' including a petrol engine jointly built by Nevil Shute and Sir Ronald East, another member of the club. There were also copies of The Model Engineer, the magazine dubbed 'The Miniature Mechanic' in Trustee in which were several articles by Nevil Shute. Richard Michalak, a fellow Shutist and research fanatic from Sydney, brought the compass from Item Willie, Nevil Shute's Percival Proctor. Richard had borrowed the compass from the current owner, the last owner of Item Willie before it was sent to the boneyard. Richard took his stewardship sufficiently seriously that the compass was chained to the wall in the display area! Richard also brought several interesting articles written about Nevil during his flyabout fifty-odd years ago, and a summary of much of his (Richard's) research on geography of NSN novels. It was Richard's research that enabled Colin and me to find and walk on Buller Street in the Township of Howqua, where Charlie Zlinter built his cabin, grilled his steaks, and wooed the fair Jennifer Morton. Fred Greenwood, the past manager of the Norway Langwarrin farm, who married the daughter of the family gardener in England, and moved to Australia with the Norways in 1950, brought a collection of pictures of the farm and family, and a set of Nevil Shute's engineering calipers, gauges, and other tools of the trade. Heather also brought a collection of family photographs and letters to add to the display. Several other participants brought articles, pictures, and other memorabilia. Taken together, it was a very impressive display. I don't think any of the participants ever had time to adequately review the entire offering. We set up the film festival rooms, laid out the participant folders and sign up sheets, menus, etc., and were ready to go by noon, when the first participants began arriving. At 1:00 PM, we started the film festival, appropriately with Lonely Road, the first film ever based on a NSN novel, and the last to be obtained by the Foundation. Many thanks to Derek Hill for being the driving force behind our eventual acquisition of the film. During the ensuing week, all of the films based on NSN novels were shown one or more times, with the exception of the three made for TV miniseries. ATLA was not shown because, as good as it is, it is too long to be shown in the time available, and it is generally available commercially. The Far Country and OTB II were not shown for the same reasons, and because neither are worth watching (IMHO). However, all ten films were available for viewing on demand during other activities or during the brief periods in which there were no other convention activities scheduled. This was the first time ever, anywhere, that all ten films had been available for viewing. From 3:00 to 5:00 PM, we had an informal 'Friends of Nevil Shute' panel, in which seven people who knew Nevil and his family shared anecdotes and answered questions. An added benefit of this session was that the majority of the panel were close friends who Heather had not seen for twenty years or more. There was no real structure to the discussion, but it turned out to be one of the highlights of the convention. At the end of two hours, we had to cut off discussion so that participants could get ready for the welcoming cocktail reception. From 6:00 PM until well past the planned 8:00 PM closing, there was a cocktail reception reminiscent of the first one held at the Centennial in Albuquerque. We had intended to go heavy on hors d'oeuvres, but have a no-host bar. As it turned out, we were well under budget for the entire convention, so we included a hosted bar. The food was great and the wine and conversation flowed freely. Once again, I was reminded that no matter how much effort we put into our preparations, most Shutists really come to these things to talk to other Shutists. A grand time was had by all! Our first speaker for the program was Heather Mayfield, who reprised her introductory talk at the Centennial. She opened her remarks by apologizing to all for saying the same things all over again, and then proceeded to make a largely original presentation. It was thoroughly enjoyable and several of those present who had heard her talk at the Centennial remarked that this one contained a lot of new information. After Heather's talk, we had our first break period with morning tea, consisting of traditional scones, clotted cream and jam, washed down with a choice of tea or coffee. That was repeated each morning and afternoon tea thereafter, with the addition of cakes and biscuits for afternoon teas. Our second morning speaker was David Vaughan, who had also spoken at the Centennial. David presented an interesting and thought provoking talk on Nevil's use of thought transference in An Old Captivity, In The Wet and The Rainbow and the Rose. Following a second tea and scone break, we had a spirited discussion of David's presentation The presentation and discussion format was followed for the remainder of the convention. After a lunch break, we reconvened for Zia Telfair's presentation on Who Was Connie Shak Lin? When Zia had first proposed the presentation, she asked that it be offered as a mini-seminar one evening. However, when we asked for participant feedback regarding the schedule prior to the convention, her topic was tied for first place. Needless to say, it had to be scheduled as part of the regular program. Modesty precludes bragging about my wife. I'll limit myself to saying that it was the best of many good talks I have heard her give, and others present seemed to agree with my evaluation. The evening was finished by a few brave souls attending the late offerings of the film festival. Forty-two participants clambered aboard two excursion buses at 9:00 AM Tuesday morning and we were off for an hour's ride to the Dandenong Range, a forested area of gum trees reminiscent of the timberland so loved by Carl Zlinter in The Far Country. It is difficult to adequately describe a gum forest. The largest inhabitants are of course the gum trees, but they by no means live alone. There are all manner of flora, including many varieties of ferns that predate anything as modern as a gum tree by several millions of years. Like most tropical forests, there is also a bewildering variety of parasitic plants. I counted over twenty different plants living more or less in harmony on one dead or dying tree trunk. Not being a botanist of any sort, I can't begin to describe the area, other than to say it was awe inspiring. We were not fortunate enough to see much fauna other than parrots, but parrots there were by the hundreds. Most of us spent at least a little time with a handful of bird seed being set upon by parrot hoards. Several of the Park Rangers were kind enough to give us a guided tour through the area. I wish I could remember a tenth of the information they shared. One other thing we accomplished as soon as we arrived at the Dandenong Park was that, in a rare demonstration of group order, we actually had everyone pose for photographs. These went to make up part of the photo' album by Richard Michalak, copies of which were provided to all full time participants. After our guided forest tour, we adjourned to a barbecue with three kinds of meat, potatoes, veggies, wine, beer, billy tea and dessert. Having gone without their morning scones, clotted cream and jam, participants attacked the feast with gusto. They continued to attack to the extent that we were an hour late beginning our next session, a presentation by Professor Roy Jones. Roy gave a very interesting presentation on the post WW II migrant experience in Australia. His presentation was followed by the usual question, answer, and comment session. Thereafter, we all boarded the tour buses and headed back to the hotel. That evening, Art Cornell hosted a discussion on forming local Nevil Shute clubs, a process in which he is currently engaged in Colorado. The film festival continued after his discussion period. No matter how many other activities were packed into the day, and no matter how tired and overfed we all were, there were always a dedicated few who made it to the evening film showings. Nevil once remarked of his own writing that he sometimes relied too heavily on coincidences in his plot development. As if to prove himself wrong, he, or someone else who is in charge of these things, seems to mandate extraordinary coincidences in my life whenever I am involved with Shute related activities. One of many examples of such occurred on Tuesday. The last time I had spoken with Shirley Norway, she asked me to remind Heather to try to establish contact with Barbara Niven, an old friend of Shirley's whom she had lost contact with 20 years before. I also assured Shirley that I would try to contact Barbara, although we weren't sure if Niven was still her last name; we didn't know if she was still in the Melbourne area, etc. I made several attempts with the telephone book, and although there were thirty or forty Nivens, there were no Barbaras. I tried all the ones with 'B' initials with no luck. I had just about resigned myself to calling every Niven in the telephone book when I stopped to check my e-mail. The first letter in the in box was one from Barbara Niven! It seemed that she had been working on her computer that morning and, on a whim, did an internet search for Nevil Shute. That led her to the NSN web site, the NSL list, and to the announcement that we were having the convention at that moment!! Barbara contacted Shirley, exchanged several e-mails with me, and graciously joined us for the Wednesday evening banquet. There was something going on there that I do not fully understand. While we tried to crowd as much as possible into each day, we just about outdid ourselves on Wednesday. The day started at 8:00 AM with a telephone conference/public address hook up with Shirley Norway, who had not been able to attend the conference in person. For once, the technology gods smiled on us, and all the equipment worked perfectly. We played a tape of Shirley's introductory remarks delivered at one of her Centennial sessions as a lead in; set up the connection; and opened the floor for questions. Even though Shirley was frustrated by not being able to see her questioners, she did her usually good job of entertaining and informing. It was the next best thing to having her there in person. After the customary break for scones, clotted cream, jam and tea, we went right into David Weir's presentation on 'Nevil Shute and the Asian Religion of Engineering'. David was also one of our return speakers who delighted participants at the Centennial and did so again at OZ2001. After his presentation, and the requisite break for more scones, clotted cream, jam and tea, we went into a typical spirited discussion of his talk. Following lunch, (we couldn't be expected to exist solely on scones, clotted cream, jam and tea), Dorothy Lawson entertained and educated us with her presentation on female characters in Nevil's books. Her talk, beautifully entitled 'Her Worth is Above Rubies: Nevil Shute's Valiant Women', put to rest any ideas that Nevil's ladies were weak supporting characters. After a required break for more scones, etc., there was the usual spirited discussion, this time with even more participation than normal on the part of ladies present. Following another sustenance break, Keith De La Rue gave a computer projection presentation on Nevil's auto racing activities, including many photographs of Nevil's Jaguar with both Nevil and his wife Frances driving in competition. He tied this in neatly with a film clip of the race scene from On The Beach. As a very special treat, Daren Overend, the present owner of Nevil's Jaguar, brought the car for display and examination. It is beautifully restored to like new condition, and practically everyone present had his or her picture taken at the wheel. We barely had time to get through with the racing presentation before it was time for prebanquet snacks and cocktails, followed shortly thereafter by the banquet. We were served a delicious meal with choice of two appetizers, four main dishes, etc., and wine and drinks again on the house. All told, there were 70 participants at the banquet, including surprise guest 'Neville Shute' and his wife. Our tireless researcher, Richard Michalak, had discovered Neville's name in the telephone book and invited him and his wife to the banquet. Neville's family name is Shute, and his mother, who happened to be reading 'Marazan' at the time of his birth, decided to name him after the book's author. Neville still has the copy of 'Marazan' that inspired his name. All was well with the name until the Norway family moved to Langwarrin, and there were two 'Nevil Shutes' in the area. Nevil and Neville frequently got each other's mail and had similar problems that might be expected. It came to a head though when Neville married and started a family of his own. When the birth of his daughter was announced in the local paper, Frances Norway (Nevil's wife) received numerous congratulations and expressions of surprise that she had done so well in concealing her pregnancy. The Shute's shared a delightful letter that Neville's wife received, along with a baby gift, from Frances Norway. Following the dinner, Derek Hill delighted us with a presentation on the foibles of modern aviation entitled 'What Goes Up MAY Come Down'. Thursday morning began with Derek Hill doing double duty and following his light hearted dinner talk the night before with a serious presentation on 'What Made Nevil Shute the Man He Was'. Derek had done some excellent research aimed at showing that when, where and how Nevil grew up affected his own character and those of his creations. The talk was accompanied by a computer projection presentation showing past and present scenes of Nevil's youth and adult life in England. After a short break, sans our normal refreshments, we reconvened for the discussion period which went on in the usually spirited way until it was time to board the buses for the day's excursions. Unlike the weather for the Dandenong excursion, which was glorious, the day was cloudy with rain. Since we were to spend a considerable time outside, Colin and I made a hurried trip to the local mall and came back with sufficient umbrellas for all. It was just another opportunity to take advantage of the budget surplus and to do a little something to show that the convention was for, by, and about the participants. The first stop of the day was the Davies Bay Yacht Club, where Nevil had been a member, sailed, and donated a permanent rotating trophy for young sailors. There, we were treated to morning tea and to anecdotes from those who knew and sailed with Nevil. Following our tour of the yacht club, we went to the Brooklands-Mornington, an excellent restaurant where we had lunch with wine. From there, it was a whirlwind trip to the Norway home and farm in Langwarrin, the new owners of which had graciously allowed forty plus strangers to go tromping through their house. Heather gave us a guided tour, explaining what had been in each room, where Nevil wrote, etc. In return for their hospitality, we invited the new owners to join us for the cocktail reception that evening, and they accepted. From the Norway property, we went to St. Thomas' Church in Langwarrin, the construction of which was largely funded by a donation from Nevil. The architect and several of the church members who knew Nevil gave brief talks which were followed by a memorial service presented by the Reverend Murray Harris, Vicar of St. Thomas. Naturally, following the memorial service, we adjourned to the church hall where Nancy's volunteers had organized another delicious tea. Everyone protested that they were much too full to eat, and then proceeded to eat everything in sight. After the church service and tea, we went back to the hotel just in time to change and attend a cocktail reception hosted by Heather. Once again, there was delicious food, open bar, and lively conversation. Needless to say, no one went to bed hungry. Laura Schneider, who is a school teacher and one of the speakers at OZ2001, had written me previously that she uses Nevil's books in her classes, both to encourage reading and to further her students' character development. She also told me that she used books by John Marsden, an Australian author best known for his juvenile fiction. Although John Marsden is today's most widely read Australian author, I had not previously heard of him. To rectify this, Laura sent me one of his books, the first of a seven part series, just before Zia and I left for the convention. Out of courtesy, I decided to skim through the book. After the first ten pages, I had to show it to Zia. Result - Zia and I both have finished all seven in that series plus several additional books by the same author. All this to lead up to the fact that, just before the convention, we received word that John Marsden would like to attend. Due to his schedule, he was able to attend only one day. Naturally, that was Friday, the day that Laura was presenting her talk. Added to this, it turned out that John was offering a writers' workshop the weekend following the convention. It began Friday afternoon and ended Sunday afternoon - the only days that Zia was free between the convention and beginning preparations for our flyabout. As you might imagine, she attended the workshop and enjoyed it immensely. There was definitely something going on there I don't understand. Friday began with Laura Schneider's presentation entitled Legality vs. Morality - The Integrity of Nevil Shute and His Characters. Knowing that John Marsden was in the audience must have made Laura a bit edgy, but she handled it without a hitch. (When she was first told that John would attend her talk, she replied: 'That's wonderful! I think I'll go throw up.' or words to that effect.) Despite, or perhaps because of his presence, Laura outdid herself with her presentation. Once again, following a last bout with scones, clotted cream and jam, there was a spirited discussion that only ended when I was forced to call a halt in order to conduct our closing ceremonies. Our closing ceremonies were brief but heartfelt - brief because once again, rather than closing, we only adjourned for two years. 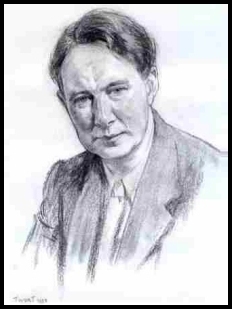 David Weir and Sandra Bower of the UK have agreed to host the next Nevil Shute Convention, UK2003. We have already had a number of devout Shutists who have said they will attend. There will be more information to follow in that regard in the months to come. Before we said our last goodbyes, Heather had some very kind words for me and presented me with a full set of Nancy's posters, in appreciation for my work on the convention. There was also much praise and gratitude for Colin, Nancy, her volunteers, and for everyone else who made the convention a reality. There you have it - OZ2001. I hope to see you all in 2003, and many of you before then.